The Czech Republic is preparing its largest puchase in modern history. 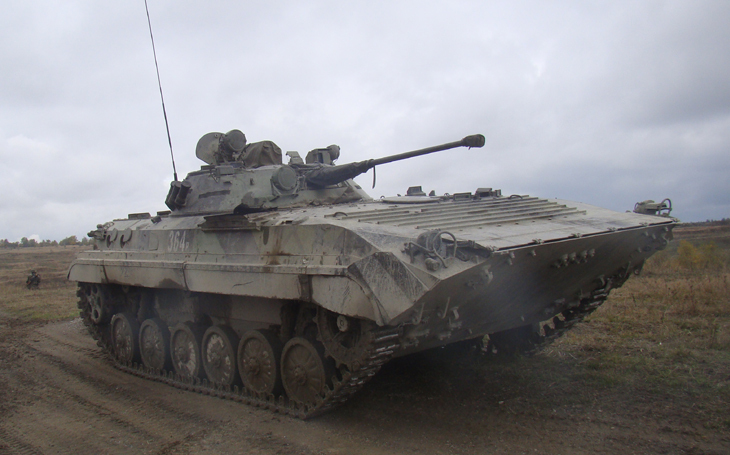 At a total price of CZK 53 billion (USD 2.6 billion) the Army will get new Infantry Fighting Vehicles next year. There are four competitors: PSM, Rheinmetall, GDELS and BAE Systems. They have presented their different vehicles during interviews made at the last Future Forces Forum exposition. Let’s review together how they evaluate the advantages of their products themselves. The director of PSM Projekt System & Management GmbH Björn Bernhard desribed the advantages of the infantry fighting vehicles PUMA in details. He focused mainly on the protection system against guided missiles and RPGs. It’s because PUMA is equiped with a unique reactive armour and with passive armour plates on the sides of the vehicle. Also it comes with a double floor which provides an efficient protection against mines. The experts agree the PUMA assures the best protection for its crew among all vehicles of its category in the world. Strong protection means obviously high efficiency in combat. The vice-president of the Rheinmetall AG Oliver Mittelsdorf counts upon the long service life of the LYNX vehicle which was presented during this year’s NATO Days in Ostrava. In the interview he said the vehicle is meant for an army of the 21st century combining modern technologies and components. According to his estimations the vehicle is going to be used for at least 40 years. It offers a very good mobility, tactical flexibility in combat, and among its advantages there’s also modularity and adaptable systems. The armoured vehicle ASCOD, which was also presented during a dynamic display at NATO Days, was presented at the Future Forces Forum by Thomas Strasser from the GDELS company. He finds its best advantages especially in a very good protection and ballistic endurance. The modular concept allows for integration of different variants of the vehicle. According to Strasser the ASCOD is not just an IFV, but belongs to a complete family of combat vehicles. According to Aleš Výborný, director of BAE Systems for the Czech Republic and Baltics, the last candidate, vehicle CV90, makes great use of new electronic inventions and computer capabilities of a teraflop capacity, which allows for integration of systems of artificial intelligence and robotization. Vyborný emphasized specifically the role of the artificial intelligence as it can largely simplify the soldier’s activities so he could focus on his primary task. The vehicle grips also by the ergonomic conception of the turret, active spring suspension and other elements, Výborný said. Who will finally be the winner of the „megatender“, will it be the IVF PUMA, LYNX, ASCOD or the CV90? We’ll learn it next year. The contract to deliver 210 infantry fighting vehicles should be signed in the second half of 2019. The Chief of General Staff Aleš Opata announced that the first 5 vehicles should be delivered to the Czech Army in 2020.